Most people in East Ghouta live underground. Medical care is increasingly provided in basements. What is happening there cannot bear the light of day. "She and her colleagues had done 17 major surgical operations in the previous 24 hours – including general, orthopaedic and vascular surgeries – with limited equipment and supplies"
"Most of the residents have taken to living underground in basements or makeshift dugout shelters; enclosed spaces with extremely unhealthy living conditions"
The conduct of this battle and its impact are extraordinary. 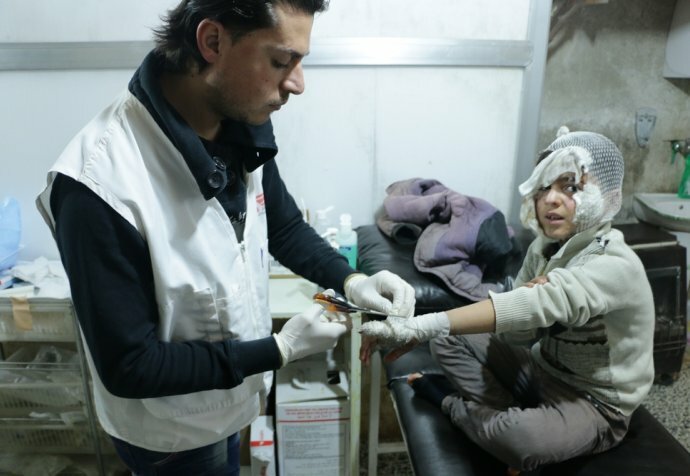 During the first two weeks of the offensive, more than 300 wounded and more than 70 dead were brought every day to the MSF-supported facilities, day after day. 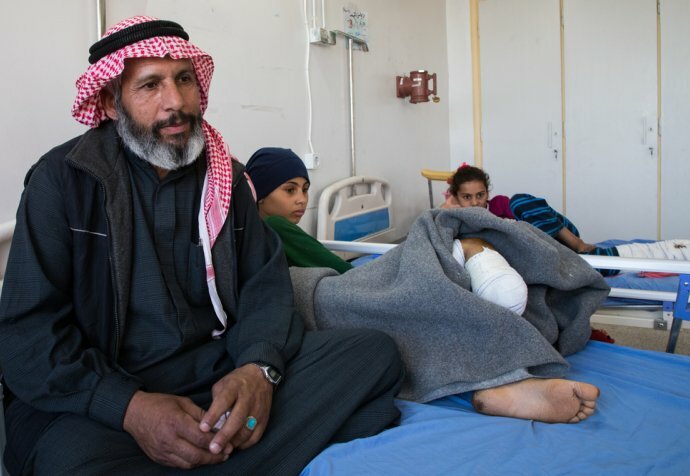 15 facilities that MSF supports in the area have been hit by bombing or shelling. Four of the medics we have been supporting have been killed, and 20 so far have been wounded. While the total-war reality seems clear, some of the details are less clear. But they point to the conflict not only being big, but also very dirty indeed. We cannot verify the details of the patients brought for treatment to one of the facilities we support with breathing difficulties and symptoms that could be consistent with exposure to chemical agents. And we cannot verify the stories of the gunshot-wound patients treated by the medics we support, who say they were targeted inside the opposition controlled area by snipers.